Your leading South Florida landscape and irrigation contractor is looking for an experienced, hands-on, business savvy Controller to become a part of our organization. We are looking for a strong, driven accounting professional to handle the CFO/Controller position for both Rood Landscape and Treasure Coast Irrigation. This hands-on position reports directly to ownership. The qualified candidate will not only excel at financial processes, but will also quickly learn our business and seek out continuous process improvement opportunities. Provide complete and accurate financial statements no later than the 10 the of the following month. Manage the cash flow: responsible for collections, paying vendors, depositing payroll taxes, eliminating late fees, develop and maintain banking relationships. Responsible for both the accounts receivable and accounts payable functions: manage and train related personnel. Responsible for time and material billing, to be completed no later than 48 hours following service. Construction billing to be completed in a timely manner and in accordance with customer guidelines and timeframes. Responsible for managing accounting staff and executing all day-to- day finance and accounting procedures. Generate meaningful, daily, performance and production measures for all department heads. Provide complete and accurate job costs for each job and compare to budget. Evaluate, interpret and analyze the financial data and compile into clear and meaningful reports – both qualitative and quantitative – for ownership. Exhibit complete understanding of the financial statements and communicate clearly the results to ownership. Provide reporting and monitoring for the sales staff, including verifying the commission schedules. Responsible for preparing the budgets and tracking actual results versus the budget outline. Develop and maintain tax and regulatory compliance calendar. Develop and institute necessary internal controls in accordance with the size of the company and adjusting for growth as necessary. Coordinate and oversee the annual financial review by outside CPA firm. Please apply online or call (772) 546-4535. 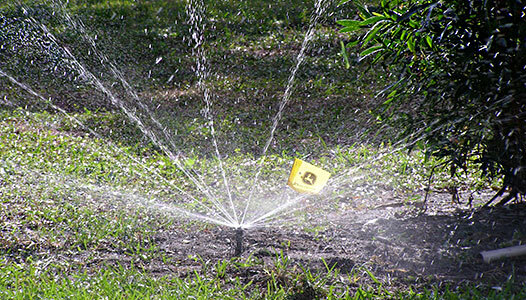 Professional irrigation systems that require less maintenance, less water and fertilizer, and delivers more savings over time.